TOKYO (AFP) - A Japanese man arrested after police found nine dismembered corpses rotting in his house has confessed to killing all his victims over a two-month spree after contacting them via Twitter, media reports said on Wednesday (Nov 1). Authorities were quizzing 27-year-old Takahiro Shiraishi, who has reportedly confessed to hacking the flesh off the bodies and throwing it out with the trash, then sprinkling cat litter over the remains in an effort to cover up the evidence. There were eight female victims and one male. Four were in their late teens, four were in their early 20s, one was in late 20s. Details also began to emerge as to how investigators tracked down the suspected killer and trapped him using the same medium – Twitter – he himself used to lure his victims. The suspect used to work as a part-time scout in a prostitution ring based in Shinjuku's seedy Kabukicho district, reported local media. He was arrested in February for being involved in organised crime but was given a suspended prison term. Between April 2009 and July 2011, he was working at a supermarket. After he quit the supermarket job, he sought work through a job placement agency but he failed to turn up for work from the second day. The grisly case has stunned Japan, which enjoys an extremely low crime rate, and pictures of the nondescript house in a quiet residential area were splashed across the country's front pages. "Killing room," splashed the Nikkan Sports tabloid. "One murder a week," wrote the Sports Nippon. 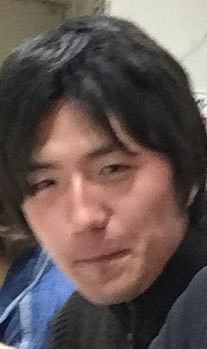 Shiraishi has told police he contacted his prey via Twitter and killed them "on the day he met" them, according to several media citing police sources. He moved to the flat in Zama, a southwestern suburban of Tokyo, on Aug 22 and contacted victims by tweeting that he would help their suicide plans, the Mainichi Shimbun daily reported. Police were led to Shiraishi and his secret stash of bodies while investigating the disappearance of a 23-year-old woman. This woman had earlier tweeted "I'm looking for someone to die with me", local reports said. Authorities then discovered a link between her and Shiraishi. Neighbours later said they had noticed a foul smell coming from the flat. The suspect has a sister who lives with his mother. His father runs a car-related business. In June, Shiraishi had told his father "There is no meaning in life." and "I do not know what I am living for". The suspect has now been turned over to prosecutors, a policeman told AFP. For now, he has been charged with improper disposal of one body but police are searching for evidence he killed all nine. He said that most of his victims were killed the very day he met them. While Japan prides itself on its low crime rate, it is no stranger to high-profile violent crimes.